Do you have blemishes on your face? 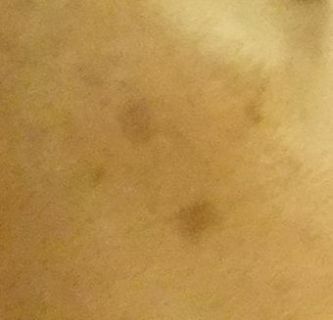 Blemishes are a big problem especially to women. Cosmetic companies flourish to invent makeup materials for money. Millions of people are spending millions of dollars not knowing the truth about those makeup cosmetic products. Many of you commute to beauty salons for face massage and makeup treatment thinking it will help reduce your blemishes. However, doing so might increase your blemishes instead. Skin stain is an enemy to all women. Cosmetic companies claim that most stains are caused by ultraviolet radiation, and sell creams and other makeup materials that block UV rays. During our time more than 50 years ago, and also, during the time of Cleopatra, there were no such things as makeup materials, yet their skin were fine. Their faces were probably more beautiful than the young people of today. What went wrong? Is it really the pollutants in the air that most cosmetic companies say? Is it really due to global warming? Is it really because of ultraviolet radiation? Here, I'll tell you the truth. Don't be cheated by those advertisements. In fact, skin stain is not only caused by UV rays. Cosmetic products you are using and even face massage can also cause blemishes. Well, let us check what went wrong with your skin stain. According to our survey, girls followed the instructions printed in the cosmetic product or instructions given by beauty salons. For sure, you believe that the cosmetic companies and beauty salon operators are telling the truth, don't you? But that's where you may be misguided. As I am a researcher of health issues, I just do not believe at first glance on what modern medical science says, unless investigation proves the truth of it. Is it not the reason that I found the origin of virus and its eradication technology, and created the PYRO-ENERGEN, contrary to the existing medical theory? Yes, stains on the face may occur due to UV rays, and we are not against it. Many pharmaceutical companies and the majority of beauticians try to sell their UV ray protective creams, and use their beautiful hands to massage hundreds of thousands of beautiful faces. That's where we begin to doubt, because we found that most stains are not caused by UV rays but the way of massaging. To prove this, we gathered 30 volunteers, and agreed not to wash their faces with facial creams, and not to undergo face massage for at least one to three months. 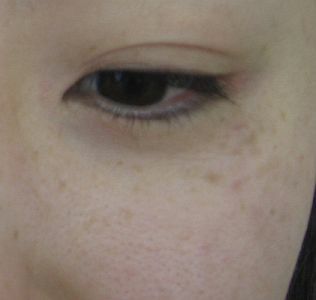 The result—their blemishes disappeared in just a matter of one month. All of them were amazed. To be certain, we have been continuing the “no massage method” to various fields of volunteers. 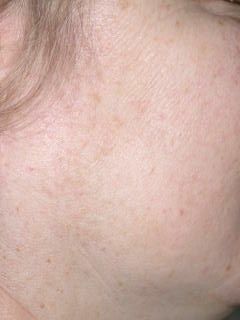 Results are amazingly getting much better especially among women who really care about their faces. Now, you should know first the real cause of stains you suffer, before applying newly invented cosmetic creams and face massages. Based on our experience, refraining on cosmetics and face massages yields more effective results during cold seasons, rather than hot summer seasons. The simple explanation to why massage can cause blemishes is because rubbing or massaging produces friction on the skin. 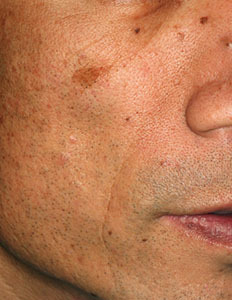 As a result, inflammation occurs on the skin around the face. Do not be misguided by various advertisements of beauty parlors and cosmetic companies who practice using unknown and newly invented creams and face massages. Most of them will create more blemishes. Of course, the more you try to eliminate the problem, the more blemishes will appear. Just stop using those face creams and stop massaging your face! 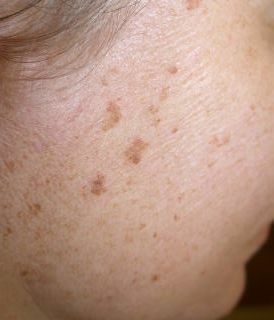 You'll find that your blemishes on your skin will amazingly disappear in a matter of one month or two. In addition, you'll experience faster results during cold season. It is because during hot summer, you may be affected by ultraviolet rays. Also, we recommend you not to rub your face with towel and soap. Just use your bare hands, and wash with full of soap bubbles. The bubbles will clean your face perfectly, not your hands. Do not rub your face with cotton or tissue paper. Just rub with soap bubble. That's enough to make your face beautiful. Today, people are too much influenced by crude media through television, newspapers, radio, magazines, and billboards. Go back to centuries ago the way your great grandparents enjoyed with eco-solution. You will look healthier and more beautiful in a matter of one to three months depending on the climate. We do not have any reports that facial blemishes can be erased by the PYRO-ENERGEN, but Yes! for pimples and allergies.